Fluffy Too Slot Review | Play to Win Today with a 700% Bonus! Step 1 – Playing Fluffy Too Slots couldn't be easier! Firstly you need to place your bets. You can do this by selecting the menu icon and clicking Bet. The minimum allowed stake is 1p per play, so you just need to select your bet amount. Step 2 – The next step is to decide the amount of lines you want to play with. There are 25 pay lines available with Fluffy Too slots. If you want to change the amount of lines, you can select the ‘change the lines' icon. Remember, the higher your bet, and the more pay lines you activate, the higher your chances of scooping the Mega Jackpot! Step 3 – Then you'll be ready to click SPIN to begin the game, and watch your fave Fluffy characters in action! You can also click on the Autoplay icon if you prefer to play instantly! 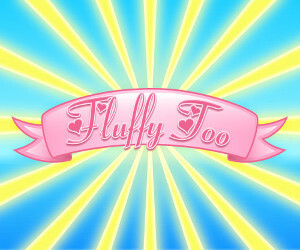 The Fluffy gang are back with the Fluffy Too sequel, for a real online slot gaming treat! Fluffy Favourites has already attracted an insanely huge following, and has fast become one of the most popular online slots of all time! As the latest Eyecon/ 888 production, the talented designers have brought to life all your fave Fluffy characters all over again for instant win gaming pleasure. So get ready to relive the magic again, with 5 reels and 25 pay lines of more cuddly arcade-style entertainment and rewarding chances to win! You can expect plenty of action-packed features, exciting bonus rounds, Free Spins, Scatter Symbols, Gamble Features and a even a new coin-pusher game. When spin onto the reels, you can meet all your fave characters, from the cute pink elephant and hippo, to the hairy gorilla, panda, cool dragon, roaring lion, turtle, tall giraffe, rhino, duck, and endearing clown fish! While you perfect your toy-catching skills, you can collect up to 100 x your line bet. You should also look out for the Fluffy Wilds and Scatters, which can substitute for other symbols and multiply your wins ! The best part is you can enjoy hours of fluffy entertainment and have the chance to hit the Jackpot, as the max payout is £15,000! You can also continue the Fluffy adventure on your mobile and in Free Play! You can Play Fluffy Too today at Ted Bingo with a a 700% Welcome Bonus!